Open World Will Be The New Standard for Zelda – But Should It Be? Once you’ve gone down the rabbit hole… can you ever go back? No one would deny that The Legend of Zelda: Breath of the Wild is a smashing success. It’s one of the most critically acclaimed games of all time. It’s Nintendo’s fastest selling stand alone launch title ever. And it completely flipped the switch on the series in a way not seen since Ocarina of Time almost twenty years earlier. Breath of the Wild is certainly a landmark achievement for Nintendo, and for video games in general. It should come as no surprise then, much like the following Zelda titles took Ocarina of Time’s foundation and built on it, Nintendo is eyeing Breath of the Wild to be its blueprint for all future entries into the series. Speaking with Famitsu recently, Zelda series producer Eiji Aonuma said that ‘open world is “probably” going to be the standard‘ of future Zelda games. My question is… should it? 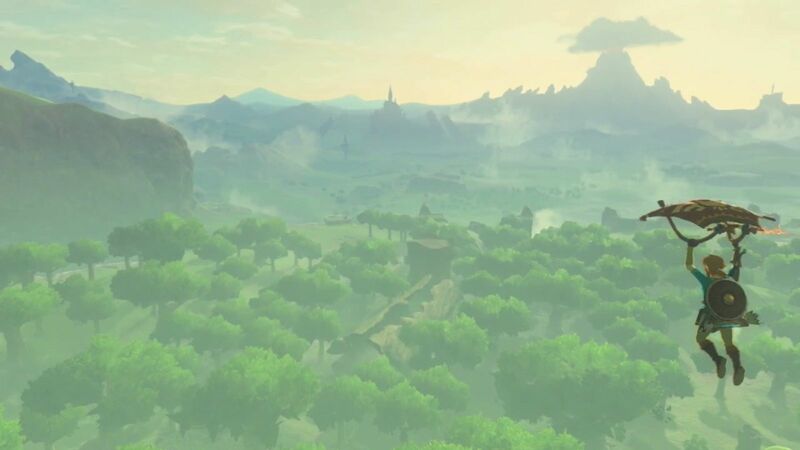 In making the Breath of the Wild into an open world game, players were able to do and see things previously thought unimaginable in a Zelda title. 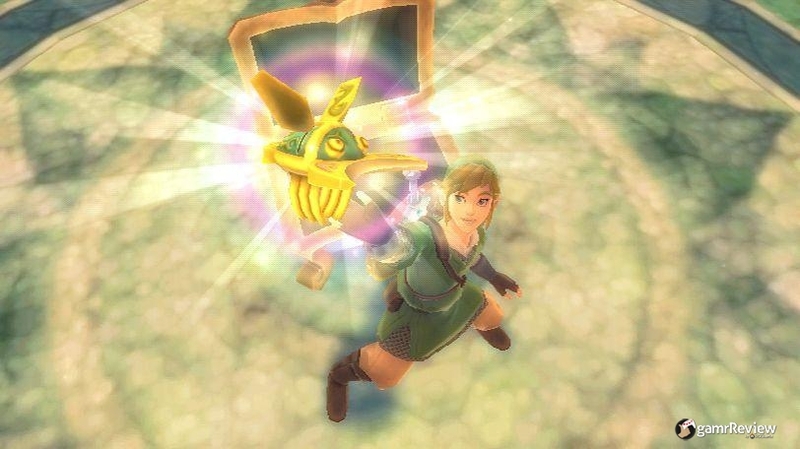 The game introduced many elements that made perfect sense to see in a Zelda game – cooking food and elixirs, crafting weapons, a more structured log book, customization and upgrades for your tunic, the ability to jump, were all valuable additions to the Zelda formula. 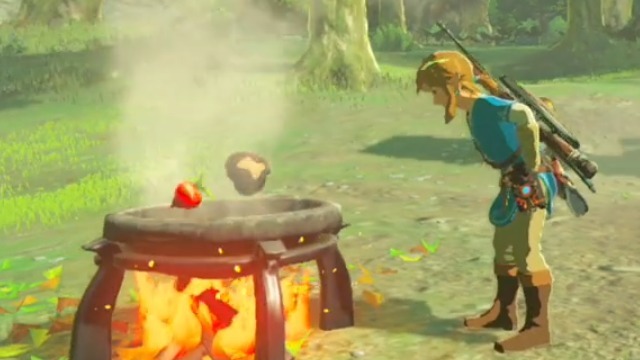 But in making the switch to an open world style of game, Breath of the Wild also lost many aspects of what makes The Legend of Zelda games so special. By offering complete freedom to the player to go where and do whatever they want, they sacrificed narrative, pacing, and overall effectiveness of the plot. The story in Breath of the Wild was noticeably bare-bones compared to Skyward Sword or even Ocarina of Time. There’s always hope that DLC could fill in some of the many blanks in the games story, but other Zelda games never needed DLC to properly lay out their story. Music was another casualty of the switch to open world. While the music in the game was always good enough, there was never anything that stood out as great. By sacrificing music for ambience, Breath of the Wild finds itself as one of the more underwhelming entries, musically, in the series. I’ve been to see the Zelda Symphony concert three times before; I can’t imagine what they would play for a 20 minute Breath of the Wild segment. It’s disappointing when you think about the great pedigree of music this series has produced. Another casualty to the move to open world was dungeon design. I’m sure I’m not the only one who felt that the four dungeons offered in the game where underwhelming. Now, this is more of a design choice specific to Breath of the Wild than open world games in particular, but I would suspect that since Nintendo knew there were over a hundred Shrines in the game for players to chew on, they figured the dungeons didn’t have to be classics. Never the less, the dungeons that we had were definitely missing that element that makes Zelda dungeons so great. The weapon progression, the elaborate puzzles, the enemies, etc. I definitely don’t want to see this type of dungeon become the standard for future Zelda games. Now, just to be clear, I love Breath of the Wild. I also realize that video game series need to evolve or die. But by taking these elements away, the more you move away from what made Zelda great in the first place. Luckily, I believe that the issues I had with the game in terms of story and pacing and music and design should all be easily fixable and still able to work within a open world concept with some clever development. But again, my question is should they be? A part of the reason Breath of the Wild has been such a huge success with critics and fans is that it boldly changed the landscape of what a Zelda game could be. After seeing this change, do we want to just rest on Breath of the Wild’s laurels, accept what it can and can’t do as an open world game and build future Zelda titles off of that foundation? Or should we as fans and Nintendo as developers keep pushing the envelope to try and find that perfect mix of a modern adventure game that can incorporate all of the elements of Zelda that we love? I’m not here to suggest I know the answer to that conundrum, but only to question if more Zelda games like Breath of the Wild, in all of its strengths and all of its weaknesses, are really what we want to base the next 20 years of Zelda on? Andy Spiteri is a Senior Editor for Zelda Informer. If you dig video games, hockey, and trash talk, follow him on Twitter.